"What about the prizes?"... Four words that often slip from my lips to my husband's ears, when I'm bored, stressed, or need to smile. The exact translation: "Time to buy my next toy." 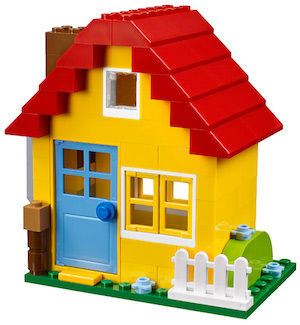 Not a grown-up toy like a giant screen TV, luxury car, or digital gadget, but a toy-toy, a kid's toy, something small, made of plastic, cheap and often found in places like: vending machines, dollar stores, Five Below, and Toys "R" Us. Objects that can easily be held and displayed, provide levity to gravity, and are capable of waking the child within who has long been asleep. Thoughts of having to relocate, after learning that our lease which expires next year will not be renewed. Instead, the house we've rented for 10 years will be sold, forcing us to find another transitional home, who knows where, until we eventually move into the building we bought years ago... a building that's still being gutted and sure to be angst for some other morning. But for now, I'm in Target, ambling the toy aisles... as a distraction, to feel kid-like unburdened and carefree, to smile, and buy my next toy! 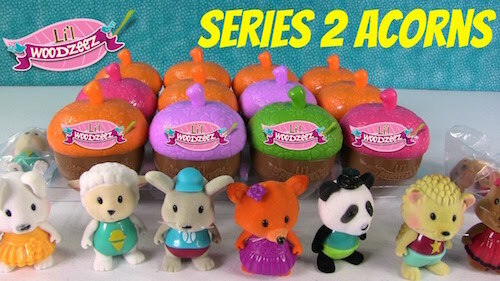 I pick up these Li'l Woodzeez... small bobblehead animals nestled in cute plastic-shaped acorns. And... they're on sale! But the containers appeal to me more than the fuzzy composite critters inside. 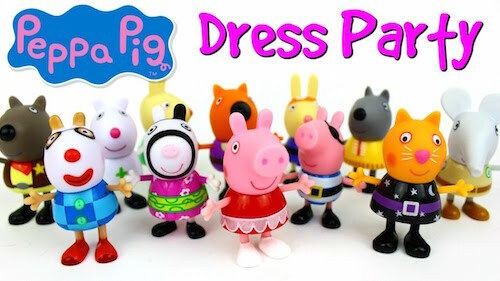 12 little, hard plastic characters pressed into one package! Not cheap, but HEY!... I've had a difficult morning AND... it's almost MY BIRTHDAY!... SOLD! "BOY GETS TRAPPED IN ARCADE MACHINE!" 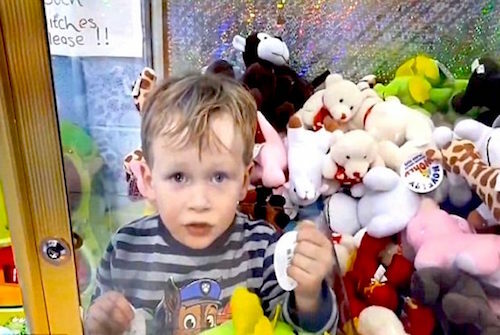 APPARENTLY... Jamie, a clever 3-year-old boy who loves toys, managed to get inside a giant claw machine and retrieve the prizes of his choice, but wasn't quite clever enough to find his way out! Ya gotta love this kid! 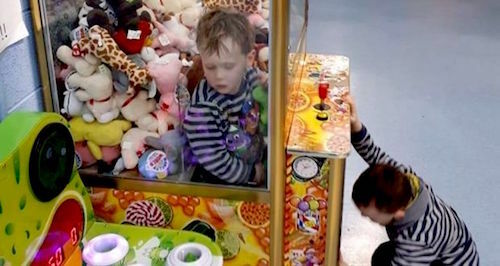 Here's a better look at the "Great Toy Machine Caper" with 5-year-old brother Shane checking out the situation. 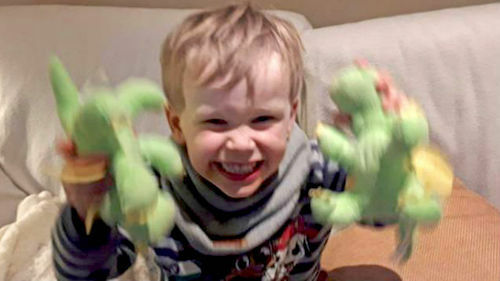 And here's Jamie, safe and happy at home with his nabbed toys... 2 green dragons: one for him and one for his brother. Sweet! I'm not sure the last time I belly-laughed so hard, but between my new Peppa Pig toys and this story, I'm in a much happier place. Watch a snippet of the arcade video here. And read the complete story, much of it told by Jamie's dad here. And just when I couldn't imagine my day getting any lighter and brighter, I discover this odd little video by 'Disney Car Toys'. 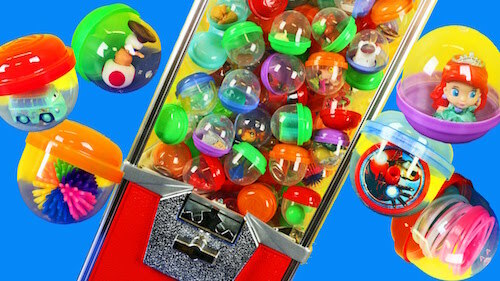 To some it might seem as interesting as watching paint peel off a ceiling, but to those like me, who love little plastic toys and vending machine prizes, it might just put a smile on your face, too. Watch Sandra & Spidey make a roll of quarters disappear here. My wish when I blow out my candles. Update: The day after publishing this post, I came across this short video: "Chen Zhitong Wins 15,000 Stuffed Animals from Claw Machines." It's worth a look here. OH no! Such bad news! I'm so sorry that you have to move out and try to find another temporary place. Is it possible that Michael cold get extra busy and get the building ready enough that you could live there while he completes the job? Don't you just hate that when you wake up and your mind won't shut off? It's always negative thoughts too. This happens to me when trying to get to sleep too. 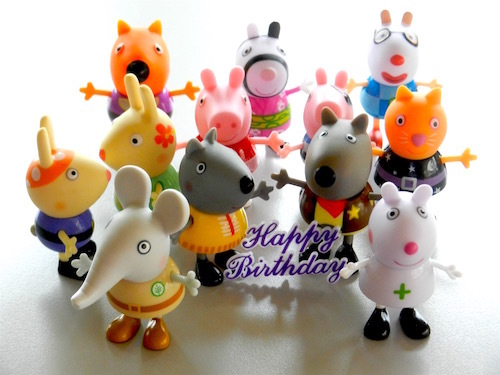 Glad your little Peppa Pig Party was able to brighten your day. Much cheaper than buying shoes, jewelry or clothes! It's amazing the crazy, silly things little kids do. They're funny little creatures. Thanks so much for your emotional support. Your words are very comforting. Unfortunately, there's no chance on moving into our building any time soon... without functioning mechanics (plumbing, heating etc) it's pretty uninhabitable. Time will tell. Between now and then... I'm desperately trying to pare down on possessions... something long overdue. If successful, it will be something positive out of this need to move.